(2008/ACE) 26 tracks (Modern, Dolphin & Downey) with 8 page booklet. Outstanding good (& rare) tracks of murder, mayhem, money, death, divorce and much more besides from one of the most unique R&B artist of the 1950s (7 unissued). Rock and roll had been around long enough that a nostalgic glow illuminated the hits of the previous decade. 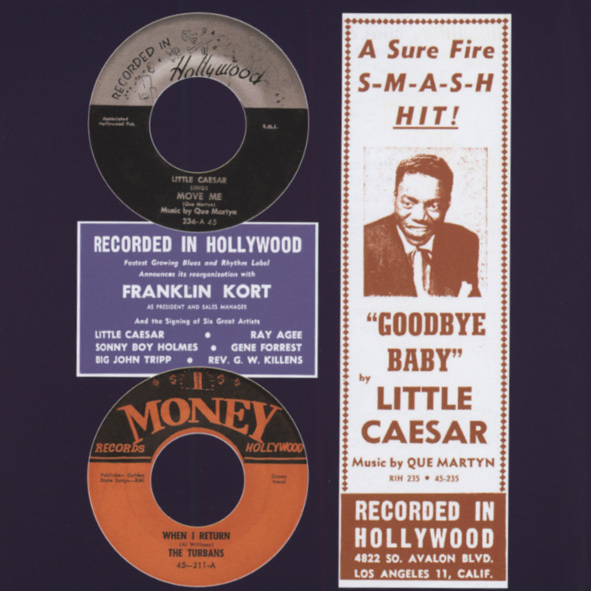 L.A. deejay Art Laboe's first 'Oldies But Goodies' LPs were marketed to doo-wop fans now able to shell out a little more cash than the buck it took to buy a single. So why not wax nostalgic on record about those bygone hits? That's what teenaged songwriters Paul Politi and Nick Curinga did. Politi had written Those Oldies But Goodies (Remind Me Of You) back in 1958, inspired by Laboe's on-air phrase. Art wanted to record it with local singer Sonny Knight. But a year went by, and nothing happened. Paul met Nick at a Belmont High School dance, and they reworked the song, Curinga suggesting a bridge and recitation. 16-year-old Carl Barnett was recruited to sing lead. Membership of the group shifted from demo to final master because Del-Fi Records owner Bob Keane, the man who made Ritchie Valens a star, was eager to get the song on the street. Ultimately, the group behind Barnett on the record consisted of baritone David Johnson and bass Leroy Sanders, both ex-members of The Cubans, who waxed Tell Me for Charlie Reynolds' Flash label in 1955, and tenors John Simmons and Early Harris, who had sung with Johnson in The Upfronts (they made two 1960 singles for Lummie Fowler's Lummtone logo). An earlier version was deemed insufficient, so a new combo was hastily assembled to redo the tune with Politi on drums and Charles Wright double-tracked on piano and bass. 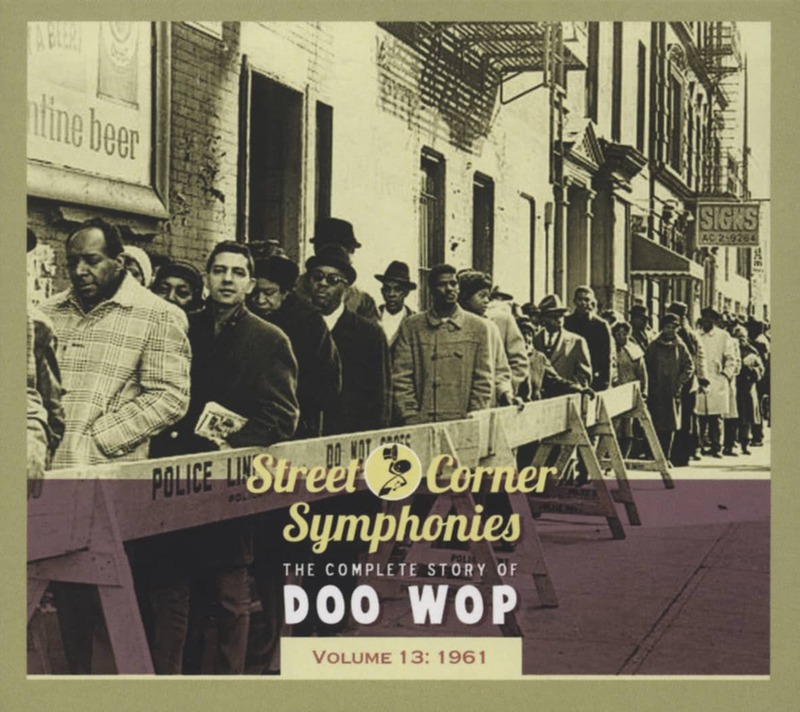 An apropos street corner vibe invested the slightly off-key harmonies and the odd way Barnett pronounced certain words on Those Oldies But Goodies. 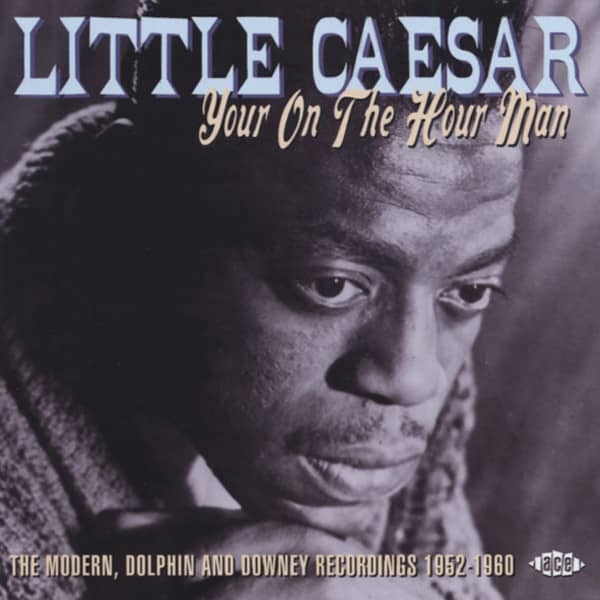 Johnson wrote and fronted its flip, She Don't Wanna Dance (No More), which didn't co-bill Little Caesar (Politi named the group). The 45 came out on Del-Fi in March of 1961, blossoming into a #9 pop/#28 R&B hit that summer. Nino and The Ebb Tides covered Those Oldies But Goodies for Madison, making some East Coast noise without charting nationally. Befitting their handle, The Romans wore togas onstage, which they were none too fond of. Their Del-Fi encore Hully Gully Again didn't make the commercial grade. 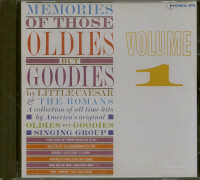 An even more overtly nostalgic Memories Of Those Oldies But Goodies, its lyrics peppered with snippets from '50s doo-wop classics, bubbled under pop at #101. Their next 45 was a remake of Harvey and The Moonglows' Ten Commandments Of Love, while their LP was full of oldies. After their '62 Del-Fi farewell Popeye One More Time, the group was relegated to defunct oldie but goodie status itself. Customer evaluation for "Your On The Hour Man 1952-60"